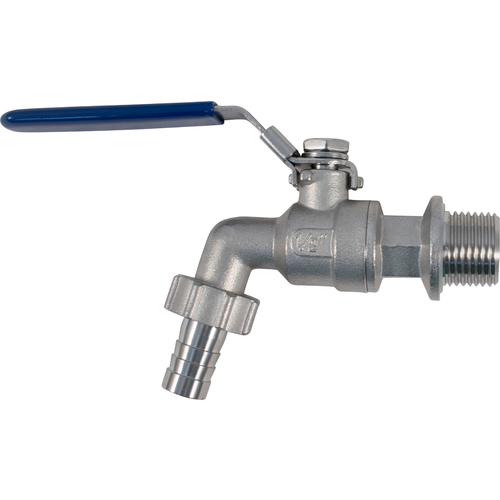 Replacement Ball Valve for the 35 L Robobrew. Silicone washer and stainless nut included, but not pictured. 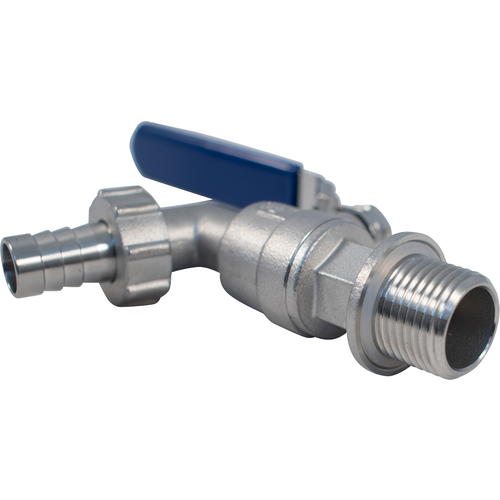 BEST ANSWER: The ball valve is 1/2" male pipe thread. Does this item come with the washer and Nut? BEST ANSWER: Yes, this item comes with the silicone washer and nut. Apologies for the misleading photo.